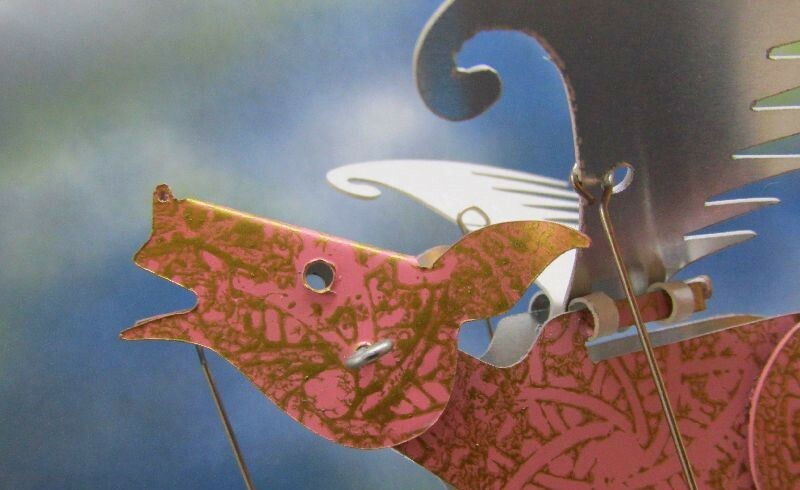 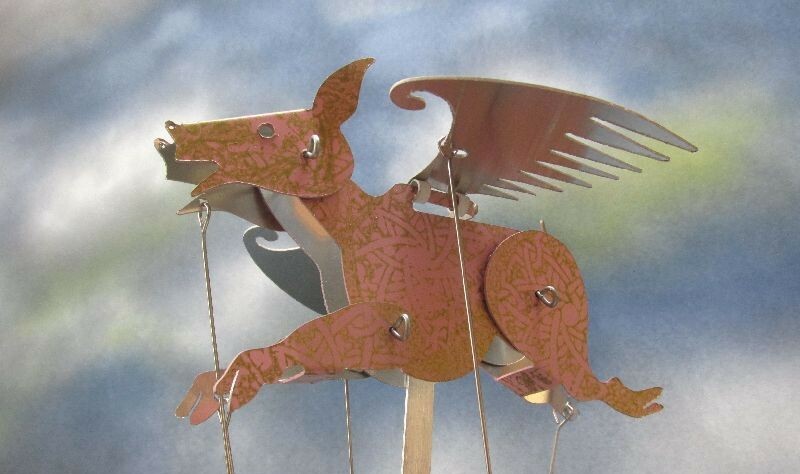 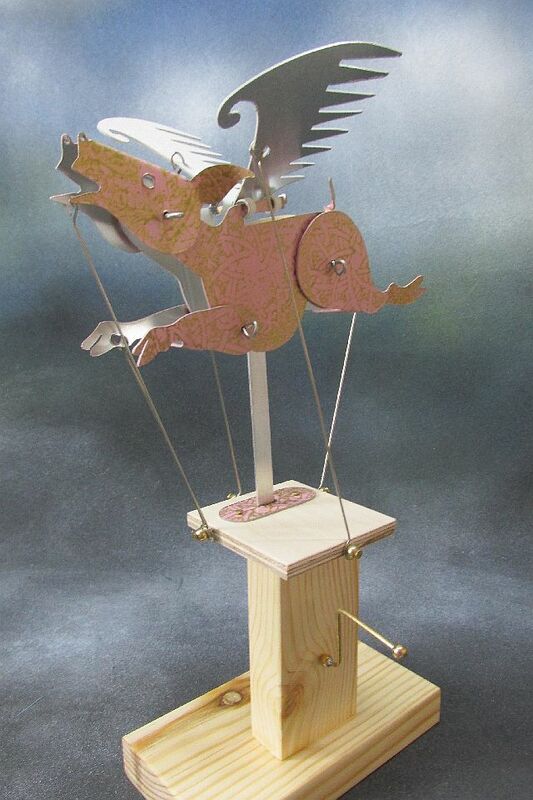 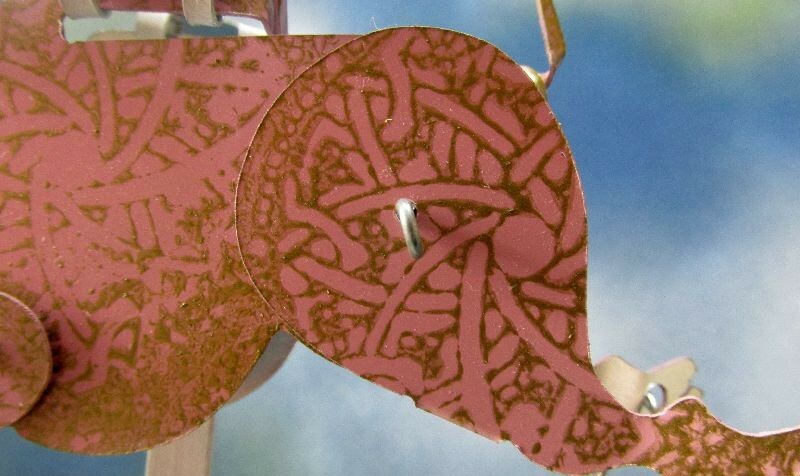 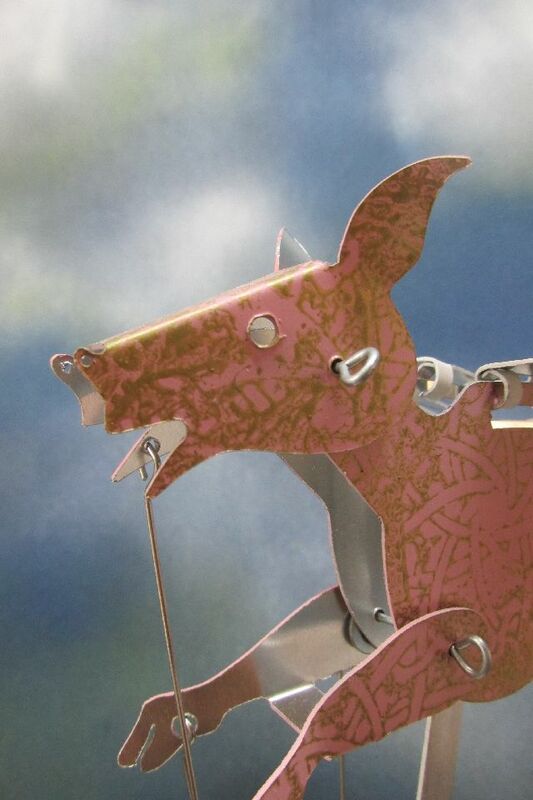 This Flying Pig automata has been hand cut from aluminium , painted pink and stamped in gold. 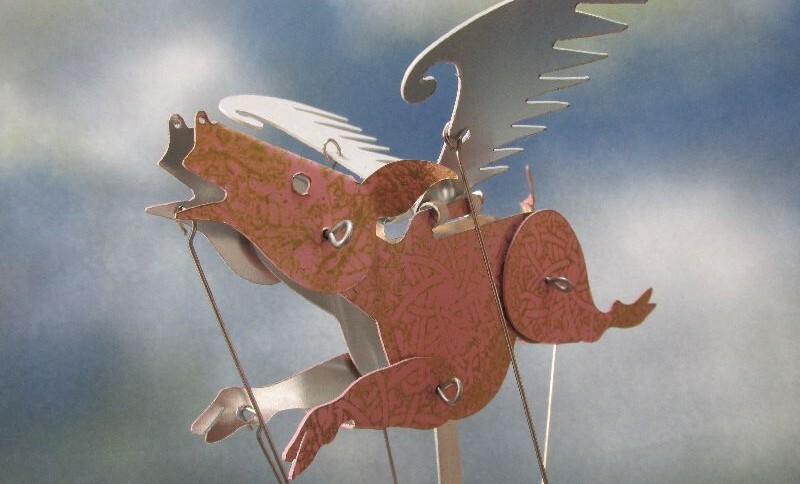 The wings are painted white on the top.When the handle is truned it moves witha realistic flying motion.Each one is signed and numbered by the artist. 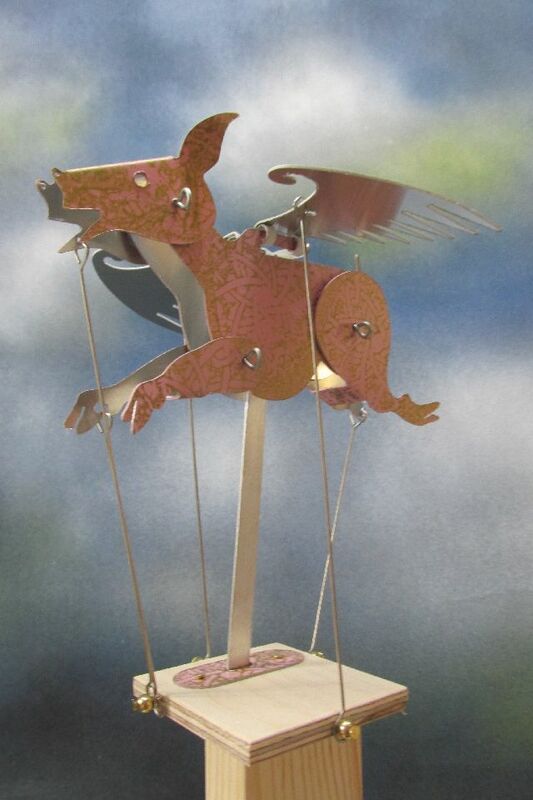 It is 11″ tall.